Vienna, Oct. 2 -- Dispersed over Europe like the scattered jewels of their shattered crowns, five throne-less queens are living on the slender charity of relatives and friends. Once the proud owners of millions of acres of land, the rulers of greater millions of people, and the possessors of untold millions of wealth, Dowager Empress Marie of Russia, Empress Zita of Austria, Queen Sophie of Greece, Queen Amelie of Portugal, and young Queen Elizabeth of Greece are today without a roof or a bed they can call their own. Their return to their own homes would be sufficient to start an immediate revolution. Saddest and loneliest of all five fugitive queens is Empress Dowager Marie of Russia , mother of the murdered Czar Nicholas, who, broken in body and mind over the successive tragedies she has borne, beginning with the assassination of her father-in-law, Emperor Alexander II, and culminating in the brutal murder of her son and his entire family, is spending the remnant of her tragic life in Copenhagen. She recently was reported to be dying. While the rest of the world has given up her son and family as irrefutably dead, the venerable empress insists they are still alive. At her window in Copenhagen she still burns a small lamp so that, as she says, "Nicky will know I'm still awaiting his return." 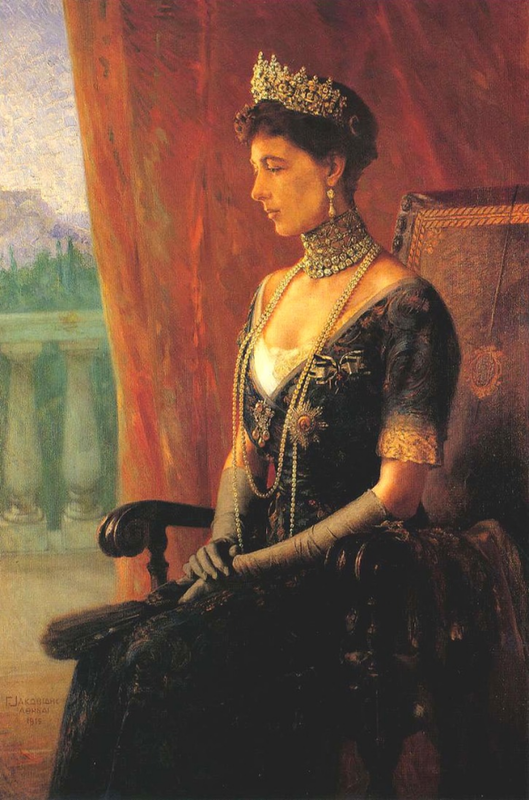 Another woman sovereign whose cup of sorrow has overflowed is former Queen Sophie of Greece , who in her time witnessed the assassination of her father-in-law, King George I of Greece; the death by a monkey bite of her eldest son, former King Alexander of Greece; the overthrow, humiliation, and exile of her brother, Kaiser Wilhelm II of Germany; the double expulsion and exile of her husband, the late King Constantine of Greece; the dethronement of her second son, George, as King of the Hellenes; and more recently, the death of her brother-in-law, King Ferdinand of Romania . Crushed by the adversity and anguish that the world visits even on queens, Sophie now goes despondently about Europe, laying her head wherever she is offered a friendly pillow by relatives or friends. She spends much of her time in prayer and meditation in Florence, Italy, where her beloved "Tino" is buried. Occasionally, she goes unobserved to Doorn, Holland, to commiserate with her brother Wilhelm. On other occasions she slips down to Bucharest to break bread with her throneless son George, and his consort, former Queen Elizabeth. Most of these trips are financed by relatives or by American dollars acquired by Sophie's brother-in-law, Prince Christopher , on the death of his wife, Mrs. William Leeds of Cleveland, Ohio. 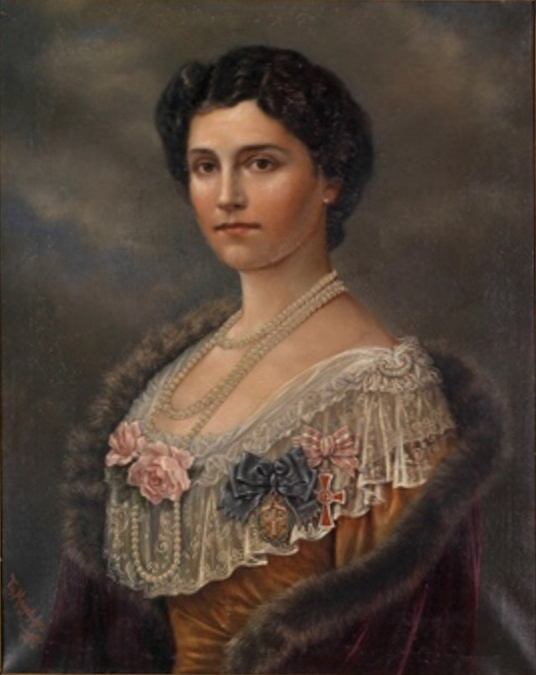 Far removed from the scene of her former power and glory, and supported by contributions from her adherents in Hungary, Empress Zita of Austria  is living in exile with her eight children in the village of Lequieto, Spain, in a house donated by the King of Spain , who is related to the Habsburgs. Undaunted by reports that there is little chance of Hungary returning to a monarchy, Zita personally is tutoring and training her eldest son, Otto, for the duties and responsibilities of a king. Zita, too, has tasted tragedy. 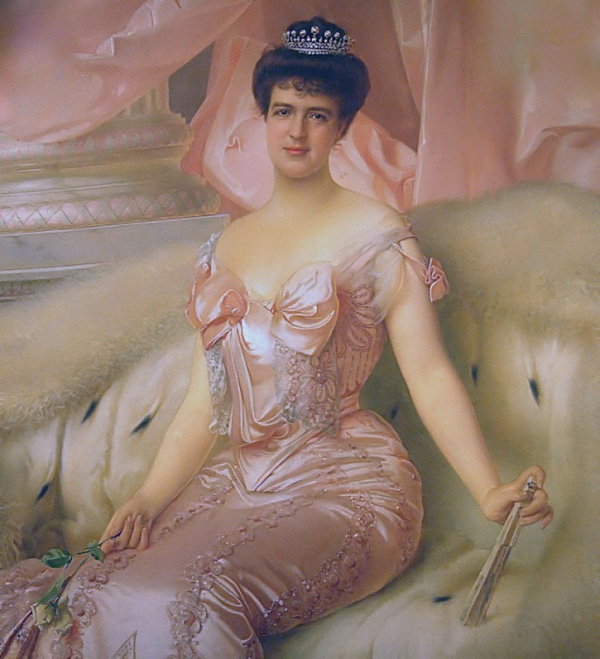 After two dramatic and unsuccessful attempts to regain the Hungarian throne, her husband, Emperor Karl, was deported to Madeira, where he died of physical exhaustion and a broken heart. Widowed and penniless, Zita lived a beggarly existence until the King of Spain came to her rescue. Another crownless, countryless queen living the life of a refugee is Queen Amelie of Portugal , who witnessed the assassination of her husband, King Carlos, in 1908, and who two years later was forced to flee for her own life with her son, King Manuel, on the eventful day Portugal was proclaimed a republic. Queen Amelie is now living quietly at Versailles, supported largely by family relatives and friends. Youngest and least experienced of all former occupants of queenly thrones is the once Queen Elizabeth of Greece , daughter of Queen Marie of Romania, who, with her consort, George, forfeited the crown of Greece when that troubled country became a republic three years ago. 1. 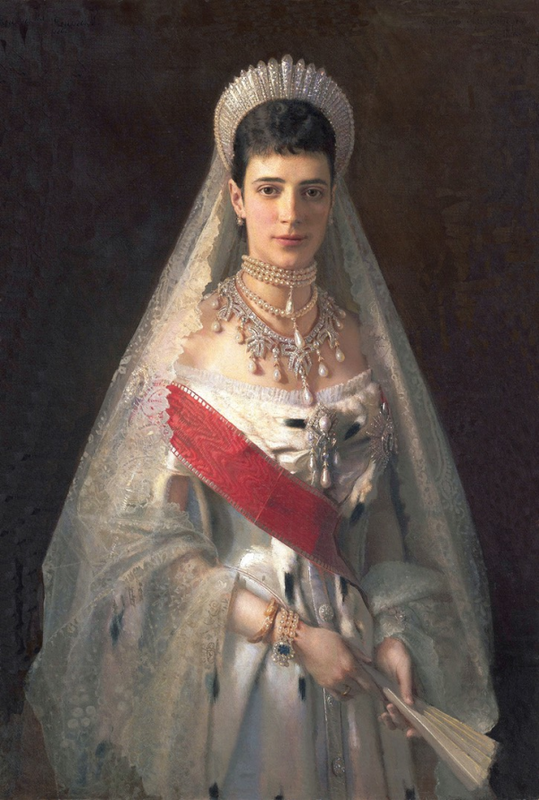 Empress Marie Feodorovna of Russia (1847-1928), born Princess Dagmar of Denmark, married the future Emperor Alexander III of Russia in 1866. She had previously been engaged to Alexander's elder brother, Nicholas, but after Nicholas's sudden death in 1865, she accepted Alexander's offer of marriage. They reigned as emperor and empress of Russia from 1881 until his death in 1894; their son, also named Nicholas, succeeded his father. 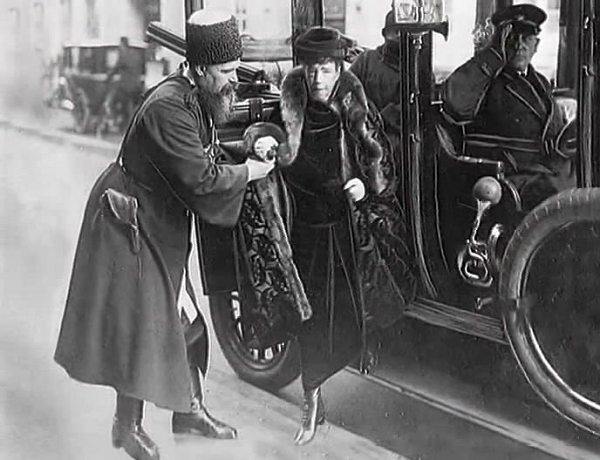 Marie Feodorovna survived the bloodbath that claimed her son, daughter-in-law, grandchildren, and so many other Romanovs during the 1917 revolution, and she lived out the rest of her life in her native Denmark. She died a year after this article was published, in October 1928. 2. Queen Sophie of the Hellenes (1870-1932), born Princess Sophie of Prussia. She was the daughter of Emperor Friedrich III of Germany and Princess Victoria of the United Kingdom; Emperor Wilhelm II of Germany was her brother. Sophie married her third cousin, Crown Prince Constantine of Greece, in 1889. They had six children, including three Greek kings (George II, Alexander, and Paul). Her husband served two stints as King of the Hellenes, but in 1923, following his second exile from the country, he died in Italy. Sophie lived another decade, dying in her native Germany in January 1932. 3. King Ferdinand of Romania (1865-1927), born Prince Ferdinand of Hohenzollern-Sigmaringen, reigned as Romania's king from 1914 until his death in the summer of 1927. He and Queen Sophie were not siblings-in-law, as this article suggests, but they were connected by two recent family marriages. Sophie's son, King George II of the Hellenes, married Ferdinand's daughter, Princess Elisabeth of Romania, in 1921. The same year, Ferdinand's son, Crown Prince Carol of Romania, married Sophie's daughter, Princess Helen of Greece and Denmark. Both marriages ended in divorce. 4. Prince Christopher of Greece and Denmark (1888-1940) was the youngest child of King George I and Queen Olga of the Hellenes. His eldest brother, King Constantine I, was married to Queen Sophie. Prince Christopher married twice. His first wife, Princess Anastasia, was the wealthy heiress Nancy Leeds before their marriage. After her death in 1923, Christopher married Princess Françoise of Orleans; they were the parents of Prince Michael of Greece and Denmark. 5. Empress Zita of Austria (1892-1989), born Princess Zita of Bourbon-Parma, was the last Empress of Austria and Queen of Hungary through her marriage to Emperor Carl I. Carl and Zita reigned for only two years before their titles were abolished after World War I. In 1922, Carl's death made her a widow at the age of 29. She raised their eight children in exile throughout Europe and America, eventually settling in Switzerland, where she died in March 1989. 6. King Alfonso XIII of Spain (1886-1941) reigned from the time of his birth in 1886 until his exile in the 1930s and eventual abdication shortly before his death. His mother, the influential Queen Maria Christina, was born an Austrian archduchess; she lived until 1929. Alfonso provided a home for Empress Zita and her children, the Palacio Uribarren at Lekeitio, until Zita decided to relocate to Belgium in 1929. 7. Queen Amelie of Portugal (1865-1951), born Princess Marie Amelie of Orleans. Born into the former royal family of France, Amelie married Prince Carlos, the eldest son of the King of Portugal, in 1886. They reigned from 1889 until 1908, when Carlos was murdered in Lisbon in Amelie's presence. Their son, King Manuel II, was deposed in 1910, and Amelie lived for four decades in exile until her death in France in 1951. 8. 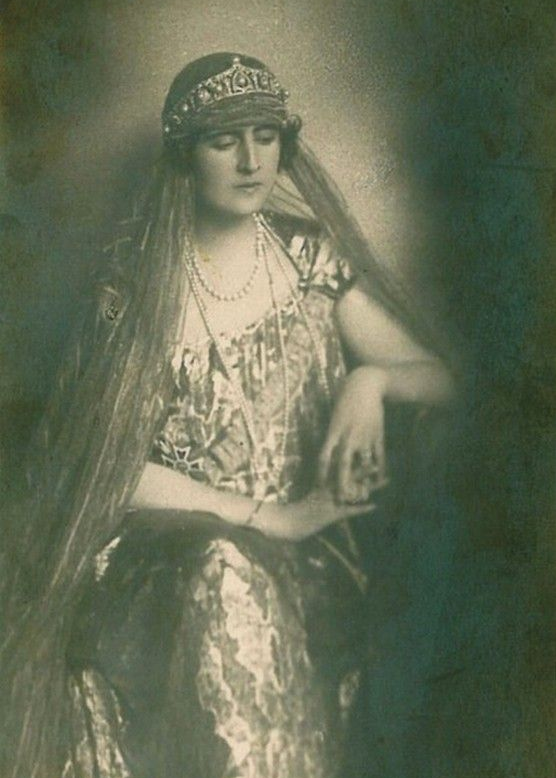 Queen Elisabeth of the Hellenes (1894-1956), born Princess Elisabeth of Romania, was Greece's queen consort from 1922 until her husband, King George II, was deposed in 1924. George and Elisabeth had no children, and their marriage was remarkably unhappy. They divorced in 1935. Elisabeth lived in her native Romania from the time of her Greek exile until the Romanian monarchy was abolished in 1947. She died in France nearly a decade later.